I just came in from the garden with my basket full of fresh lettuce, spring onions, radishes, mint and cilantro. Before coming in I stood in the strawberry patch and ate my fill. There is nothing like ripe strawberries, fresh from the garden. Those hard, red lumps that pass for strawberries in the supermarket are a poor second compared to the real thing…juicy, fragrant and luscious. It’s the same for tomatoes. There is nothing like a juicy, sweet tomato grown in your own garden. Growing healthy organic vegetables is not as hard as you might believe. Raised beds, filled with good soil insure successful harvests. If you have young children, it is a perfect way to introduce them the wonders of nature. They are more likely to enjoy eating vegetables when they have taken part in the process from sprouting seeds to picking ripe berries and vegetables. 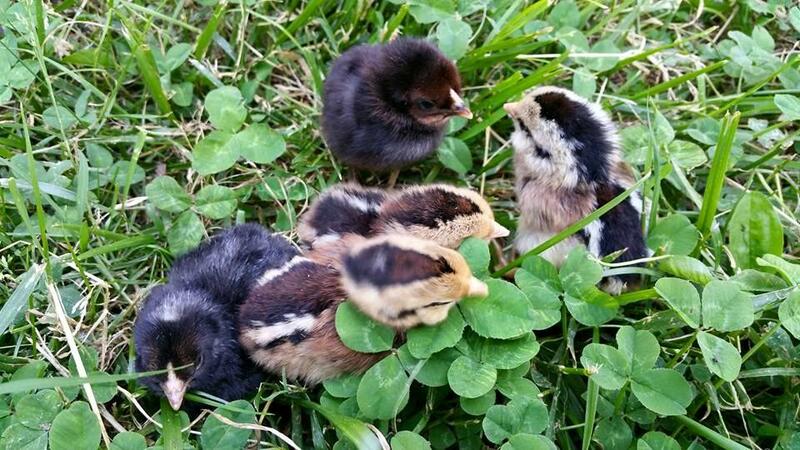 If you are really serious about healthful eating, you could raise a few chickens for fresh organic eggs. Chickens don’t fit into every neighborhood, and they are more challenging than a vegetable garden, but you’ve never tasted eggs like those freshly gathered from your free range hens. 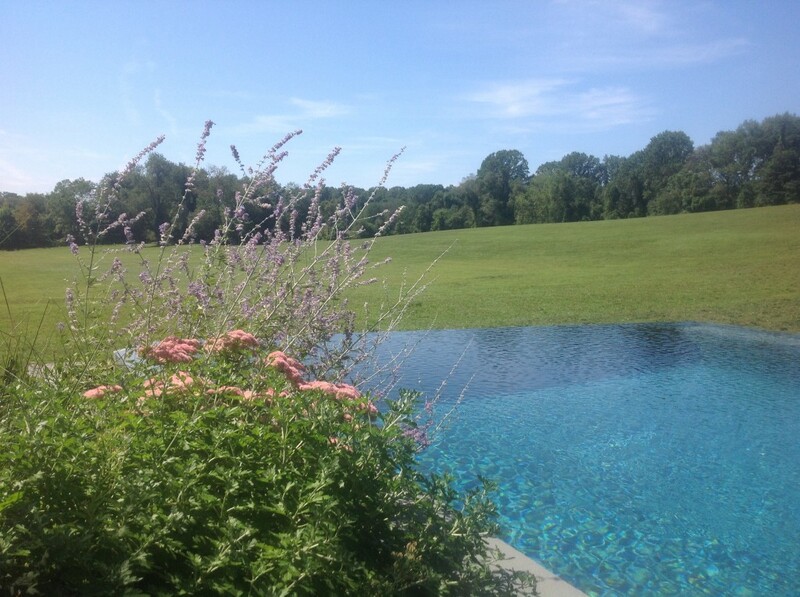 When you think of Wallace Associates Inc., you may think of swimming pools, water features and fabulous gardens, but we also design and build practical gardens for food production. The demand is growing stronger as people learn of the risks in our food supply and the environmental costs of shipping food around the world. There are also those who, like me, enjoy the process of growing food and who like cooking with the freshest and tastiest ingredients. You may enjoy it too. 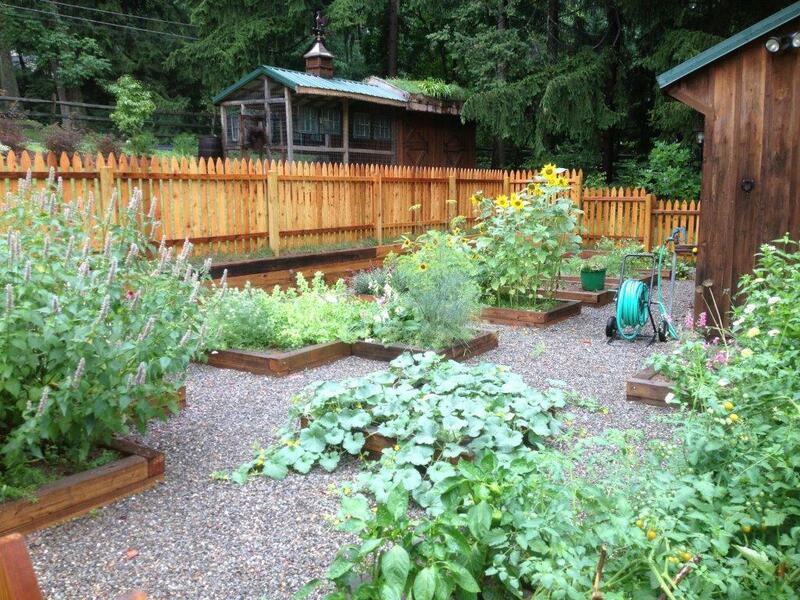 If you have been thinking of growing your own vegetables discuss it with a Wallace landscape architect. They can help you determine the best location for production and design an attractive and easily maintained plot. To get started today phone 610-444-6161. How quickly winter has loosed its icy grip. With the first warm breezes I started dreaming of the many pleasures to come…the soothing green as young leaves unfold, the explosion of flowers to follow, the bright sunshine that lifts our spirits after this extremely frigid winter has passed. I have no doubt that we will still have a snow flurry or two, but, I can hardly wait for those long warm days ending with drinks by the pool, perhaps followed by a peaceful dinner on the terrace, with good friends. Fortunately nature gives us an early warning with those first warm breezes. To get the maximum summer enjoyment from our landscapes, now is the time to act. Schedules are filling up fast and everyone wants their work done as soon as possible. So don’t put it off any longer. 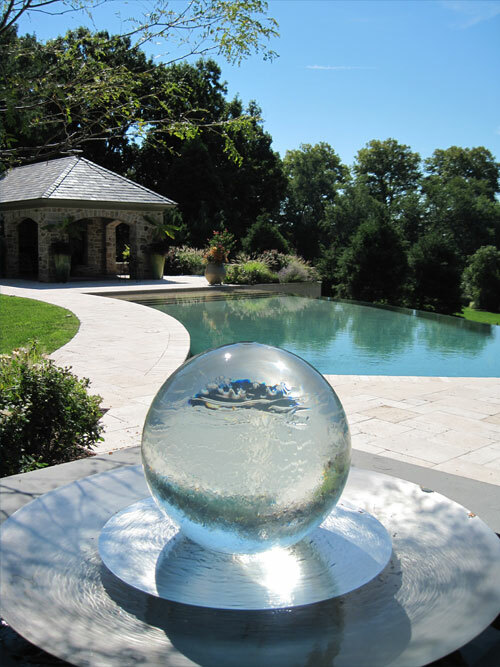 Is a swimming pool in your future? This is a good time to meet with a designer and start the process. A swimming pool is a complicated design and construction project and not one that you will want to rush. Don’t settle for a cookie cutter pool when you can have one designed to meet your specific taste. 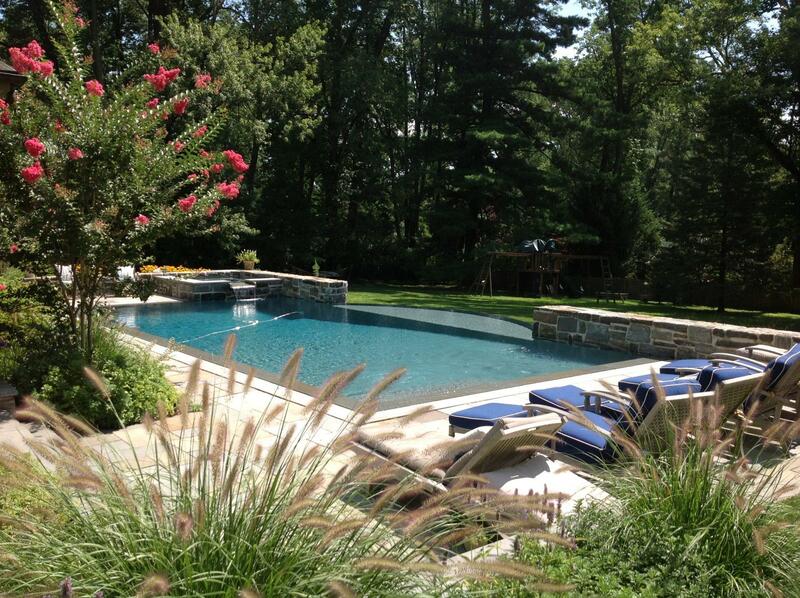 And it is so important to have your pool sited in the best possible location to enhance your outdoor living. If, on the other hand, You already have a pool, but it is outdated and boring, your pool can be brought to life with a renovation. Instead of an blot on your landscape it can be turned into a sparkling asset. Or maybe the kids have grown and you’re no longer enjoying your pool. We can remove every trace of it and redesign your landscape to better meet your present needs. 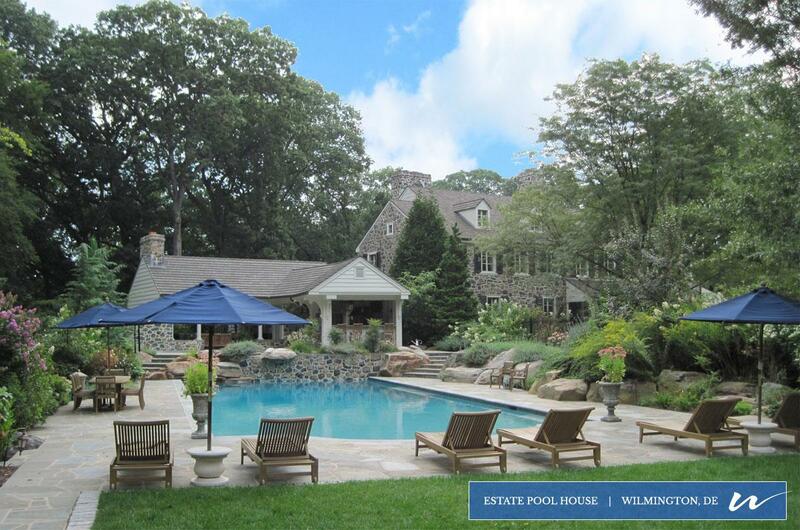 Wallace Landscape Associates Inc. specializes in design and installation of complex residential landscape projects. Swimming pools, traffic circulation and parking, outdoor living and lovely, sustainable surroundings for your home, large tree transplanting. Whatever your landscaping challenges, the solution begins with a phone call to the registered landscape architects of Wallace Landscape Associates Inc. To understand the many advantages of working with a design/ build landscape firm, go to our web site or better yet, talk with our many satisfied clients. The first welcome hint of spring is in the air. What a winter we’ve survived! I can’t wait to get out into my garden to see if there is any damage. 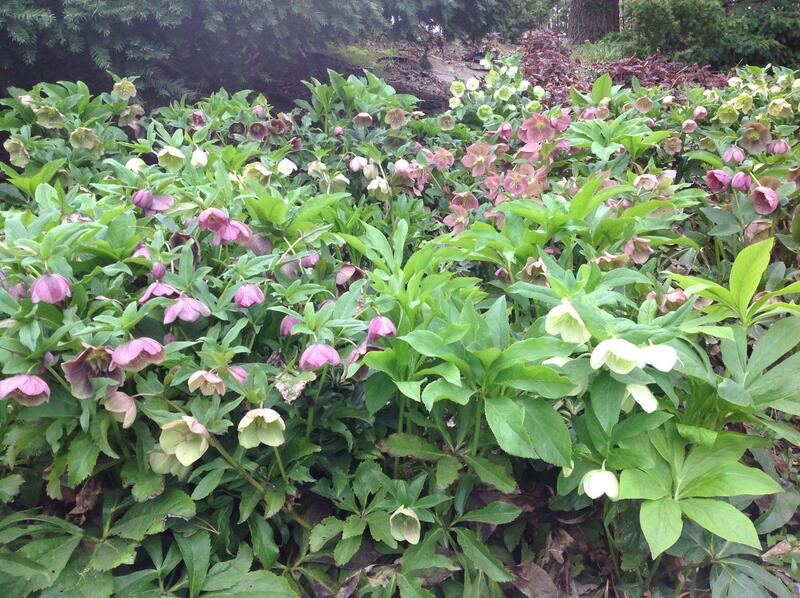 I rely on hardy plants and proven cultivars, so I rarely lose any of my landscape to weather. However, we have had some unusually cold weather without insulating snow cover, the most destructive condition for plants. Especially vulnerable are those that aren’t fully acclimated after transplanting. It is tempting to write off plants that look bedraggled and weak after winter has passed. Patience pays off however. So continue to watch for signs that the plant is breaking dormancy. During the winter months roots grow in the moist soil and plants establish a strong foundation to support rapid growth, flowers and berries and to carry them through difficult weather in the future. By giving up on a plant too soon, we lose a full season of growth and strength. Last spring my neighbor told me she was going to take out the dead Nandina at the corner of her house. I suggested waiting for a month to see if it might bud out. It turned out that the ends of a few branches were dead and had to be pruned out, but the rest of the shrub recovered fully. It filled out and bloomed during the spring and summer and was covered with heavy clusters of red berries throughout the fall and winter. So don’t give up on your garden too soon. After an extremely cold winter it may take a bit longer for active growth to begin. If you are concerned about a plant or two, call your designer. Wallace Associates landscape architects are happy to answer your questions and help you decide whether a plant needs to be replaced or just needs a bit longer to leaf out. Winter has its own special beauty. A well designed garden is lovely in every season. Here in the Mid-Atlantic region we are fortunate to have a wealth of evergreens in all shapes, sizes and shades of green. Along with an abundance of bright winter berries, a skillful designer can paint a picture to chase away the winter blues. Speaking of blue, the Blue Atlas Cedar with its architectural form and blue foliage, laden with snow is one of my favorite winter scenes. Along with towering pines, firs and spruce there are lacy chamycyparis, columnar arborvitae…the list is very long and includes a wonderful array of hardy needled evergreens. As landscape designers we rely on them for the backbone of a garden, privacy screens and windbreaks. in the cold winter months they become very special as they contrast with the stark landscape surrounding them. 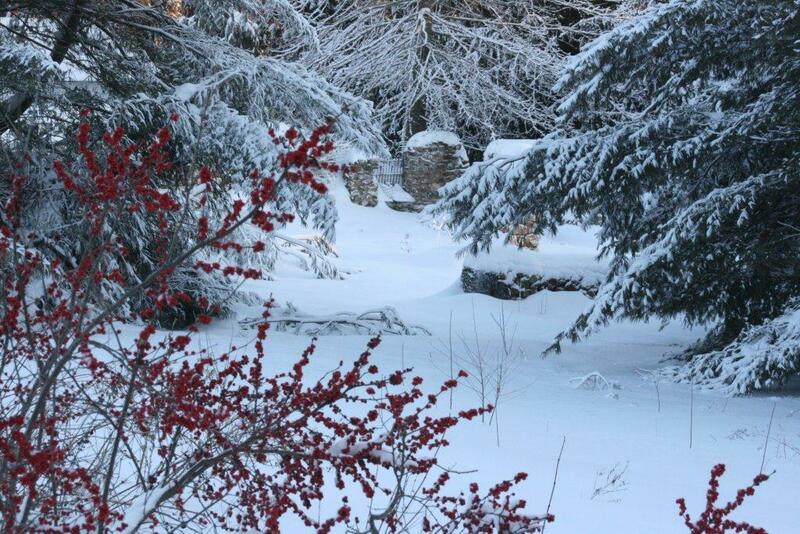 The broadleaved evergreens add variety, many with berries to further brighten the winter scene. The Southern Magnolia is perhaps the queen of broadleaved evergreens. Hardy cultivars of this southern beauty survive our frigid winters unscathed. The oversized leaves grace many Christmas decorations. Hollies, boxwoods and acuba are a little more demanding of wind protection, but they contribute a wide variety of shapes, sizes and textures to the winter garden. There are even a few plants that flower during the winter months. The Hamamelis family has several cultuvars that bloom with bright, fragrant flowers in the depth of winter. I haven’t even mentioned the spectrum of winter berries in red, blue, white, coral pink, burgundy and yellow. With the added benefit of contributing to holiday decorations, they deserve a place in every landscape. If your garden suffers from winter boredom, discuss the addition of these interesting plants with your landscape architect.